Manterol Baby Blankets are a quality and design that lasts a lifetime. With a huge variety of styles and designs to choose from, you are sure to find one –(or two) that you love. The quality of these blankets is assured by the Spanish Brand Manterol which ensures that these Blankets are hard wearing and durable and will withstand the washing expected of a babies blanket. They will maintain their luxurious feel and quality whilst staying in shape. During washing they don’t peel. From Teddy Bear Designs, Happy Animals and Flying Doggies to the Stunning Big Heart Design in the Junior Alba Varios Range-these unique designs will never go out of fashion. Manterol Baby Blankets may be used in a pram, buggy, Junior bed or just for snuggling on the couch with your favourite movie. Sizes vary from pram sized Blankets to cot sized and all the way up to Junior Single Bed Size. These blankets are a fantastic alternative to Bedspreads, Duvets and Throws. The Baby Blankets also come in a stunning presentation gift box at an affordable price for a gift that will impress. 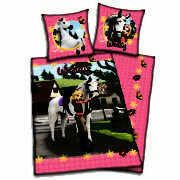 Starting at €19.90 these blankets are a superb quality unique gift. Baby Blankets in the Junior bed size include the baby Alba Range and Junior Disney Range with their stunning Authentic Approved Disney Designs in Mickey and Minnie Mouse to delight your little one. Cot sized Blankets include Designs from the Baby Happy Range, Baby Vip Range and the Baby Alfa range. These include many colours ranging from vivid colours to calming pastel shades. Pram and buggy sized blankets include the Baby Vip Range. As well as variety of Colours and Designs, there are a variety of materials. 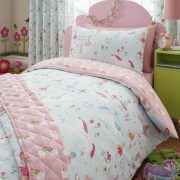 Please visit our website at www.thebedlinencompany.ie to see more. As well as Baby Blankets, we have a large range of Blankets to suit Single and Double bed size. With a quality and design that is equally as luxurious -these Blankets will continue to be as soft as the day you bought them and their colours will remain bright. Manterol approved quality blankets start at €39.90. Their Striking Designs will transform your room. They are a unique alternative to Bedspreads and Throws. They are Versatile and durable and they can be used anywhere in your home for a luxurious, soft comfortable finish. 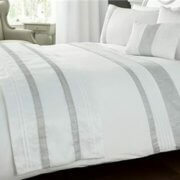 Log on to www.thebedlinencompany.ie to browse our Gala and Vogue ranges. These Adult Blankets and Baby Blankets include extravagant Prints to muted Natural tones.